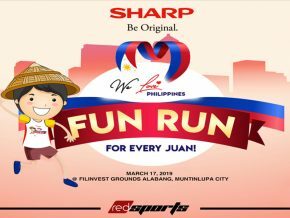 SHARP Philippines Corporation (SPC), together with RED Sports, will be holding Fun Run For Every Juan 2019 this March 17 at the Filinvest Grounds in Alabang, Muntinlupa City. 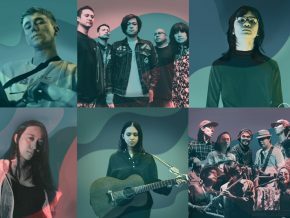 The magical celebration of music and arts is just a few months away so make sure to mark your calendars and purchase your tickets as Wanderland Music Festival 2019 is happening this coming March 9 and 10, 2019 at the Filinvest City Events Grounds, Alabang. 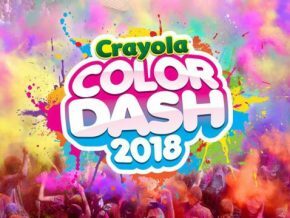 Twice the fun with a color run and a bubble run at the Pocari Sweat Colors and Bubbles Fun Run this August at Alabang Town Center! 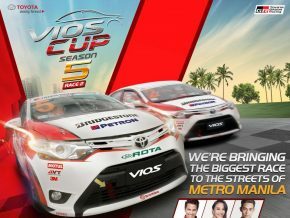 Witness the race against time at the Vios Cup Season 5 Race 2! 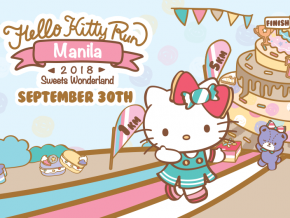 Grab your colorful bows and get your whiskers moving as Hello Kitty Run Manila returns in Festival Alabang this September! 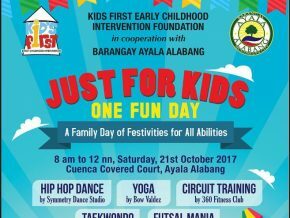 The fun doesn’t stop at the track because there are more exciting activities and goodies await all participants. 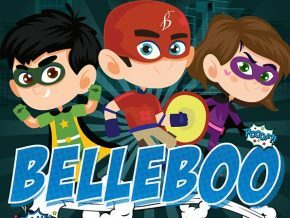 Let your kids have a productive April with these workshops from Sparklelabs! 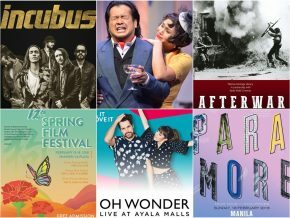 What a sweet weekend to go out! 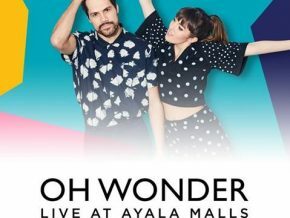 Watch Josephine and Anthony of Oh Wonder perform their famous hits again! 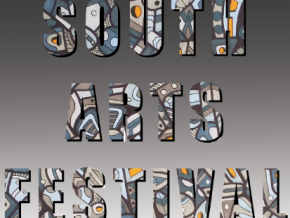 South Arts Festival is set to happen this April 22, 2017! 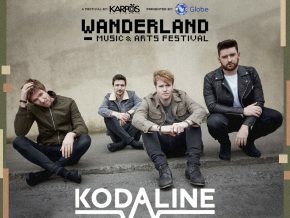 The Indie-Irish band will join Wanderland Music and Arts Festival next year! Bumper XIII Bumper is set to own center stage as it hosts its annual car and motorbike show for car and motorbike enthusiasts alike. 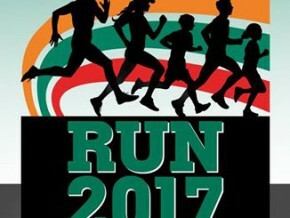 Don’t let your kids be late for this very important date! 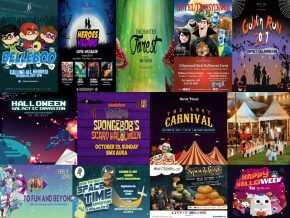 We have listed upcoming Halloween parties and events that will definitely spook you out and leave you laughing the HAHAlloween way! Come and be part of a one-night-only affair and help protect human kind from alien attack! 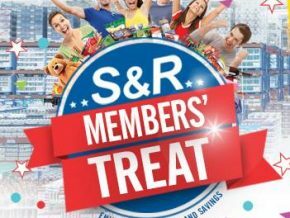 As what Spiderman says, “With great power, comes great responsibility”, come and be part of a heroes assembly and save the world through trick or treating! 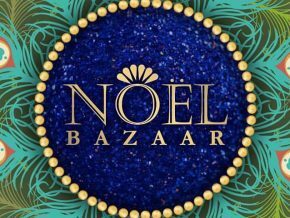 The Christmas season is here, and Noel Bazaar will soon come! 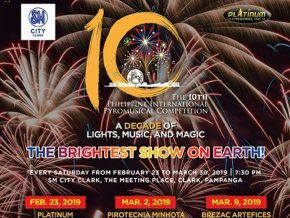 Feel nostalgia with the original Concert King's songs at this benefit concert. 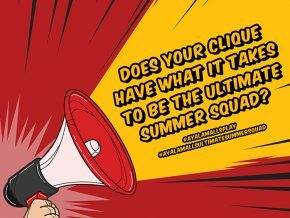 Summer’s never over with Ayala Malls as they have thrown down the gauntlet to every single squad out there: who will be the Ayala Malls Ultimate Summer Squad? 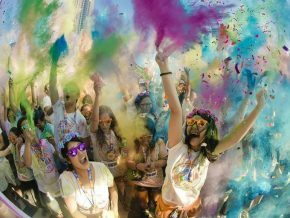 Run at your own pace and experience the biggest color fun run at Color Manila Blacklight Run 2017 happening on May 27 at Filinvest City, Alabang. 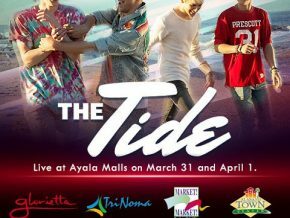 For the second time around, Los Angeles pop-group, The Tide is coming to Manila for a series of shows at Ayala Malls on March 31 and April 1. 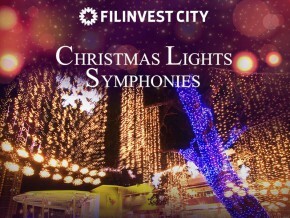 Head on over to River Park, Festival Mall and marvel at the Christmas Lights Symphonies from December 1 - 31 from 6:00-9:00 pm. 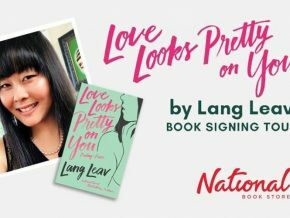 Here’s an exciting news to all pet lovers out there! 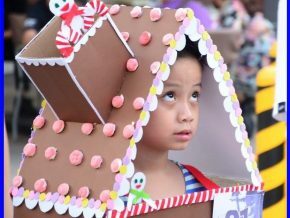 There will be a Pet Holiday Pageant on December 3, Saturday at the Town Plaza in Alabang Town Center. Christmas is less than 3 months away. 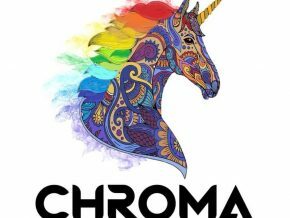 Malls are already going on early sales, bazaars are being held left and right, and people are already in a rush trying to figure out which one to go for. 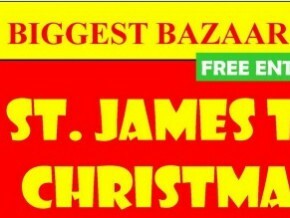 One of the year’s most anticipated Christmas bazaars is back, and it’s looking bigger than ever! Mark your calendars for this year’s Noel Bazaar, happening on November and December at the World Trade Center, Filinvest Tent, and SMX Convention Center!